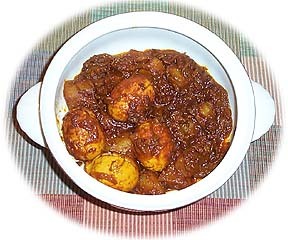 Egg curry in the traditional style with variations to make a very favorite dish. 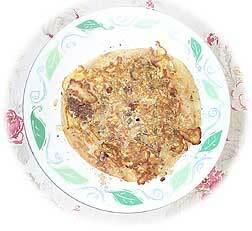 This mouth watering dish is favorite of all those who love eggs. 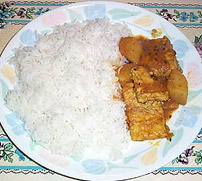 Heat oil in a non stick frying pan. 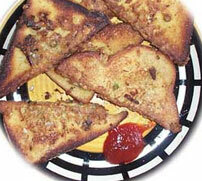 Dip each piece of bread in the egg mixture (ensure well covered) and deep fry till light brown. 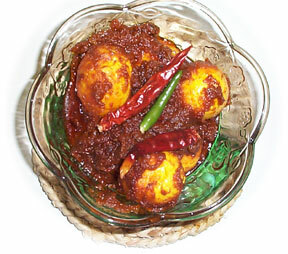 A tasty snack made of minced meat ball stuffed with boiled egg. 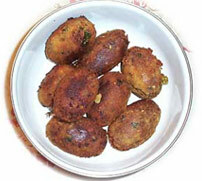 It can be eaten as a snack or can be used to make Nargisi Kofta.